Welcome to Wow! I'm so glad y'all partied here last week while I was away. There was so much talent shared. Let's look at some features. I always drool over any space in Peeking Thru the Sunflowers' home and this small guest room is no different. I love this cute bucket and you can find out how she created it at Scavenger Chic. 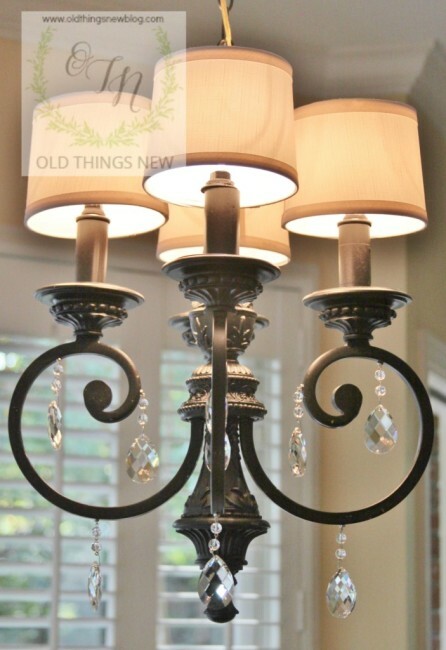 This little chandy didn't always look this beautiful by Old Things New. 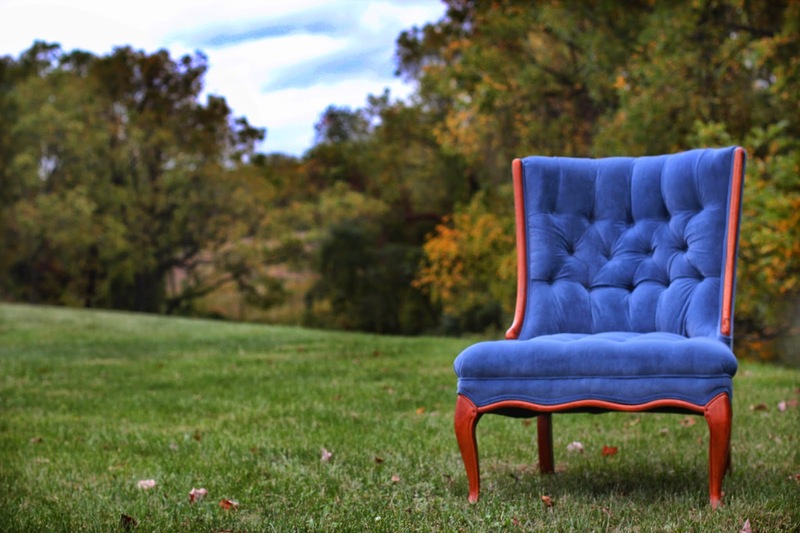 Oh, my this chair had me at blue and tufted. You must see the before at Our Life in a Click. Here's a cute no sew costume idea for Halloween by It's Overflowing. I usually share at least one recipe in the features and this week it is for our four legged friends. Find out how to make this peanut butter and apple cake for dogs by Twigg Studios. They sure seem to be enjoying it. Thanks to everyone who joined last week. Now let's get this party started so we can see what you have to wow us with this week. This week I'm trying something new with the link up and instead of the links being in order as you linked up they will move about randomly. This way it doesn't matter how late you are to the party. We will see how this works out. Thanks for hosting Kim. Have a great evening. Great features. So fun to see someone loves their chandy just like the one I have. Her shades are killer, I need to find some. Thanks for hosting. Love that dog cake....how cute! Thanks for hosting! Thanks for hosting, Kim. Have a great week! That dog picture cracks me up! Thanks for hosting again! Thanks for hosting, Kim. Hope you're enjoying your fall season! so many pretty things.love little red riding hood's cape. dog cake...neat idea that my golden would probably love.and pumpkin pancakes with bourbon maple syrup! Must try. Thank you for all you do to bring us so much inspiration for our own homes! Thanks for always hosting a great party Kim---I haven't linked up in a long time, but I sure love to peruse the entries each week! Thank you featuring me Kim, it was a nice surprise!!!! Thanks so much for the fun feature Kim -- such a treat!!! I hope you have a great week back at home! Thanks so much for hosting Kim! Off to check out the great features you shared this week. Thank you for the party Kim...wonderful features this week. Wishing you a Happy Halloween! Lovely party :) Thanks for hosting us! Great features. Got to make that canine cake!!! Will be linking up later when I get to my destination! Thanks for hosting!! Beautiful features, Kim! Thanks so much for hosting. Have a great week! thanks for the party Kim, the dogs are priceless! I got so caught up in the features I almost forgot to join. Thanks so much for hosting. LOVE the cake for dogs!!! Thanks for hosting! Thanks for hosting! Love Red Riding Hood! Thank you, Kim, for hosting. Great features. The dogs crack me up. Aimee's dog cake is fabulous. Thank you for hosting. Kim thank you for the party! Nice features. Welcome back, Kim! That dog cake is the incredible - love that photo! Thanks for hosting! Thanks so much for featuring my chair makeover Kim!! What a thrill!! La petite fille déguisée en Petit chaperon rouge est adorable. Thanks for hosting Kim! I like the random linky style. I hope it works out! 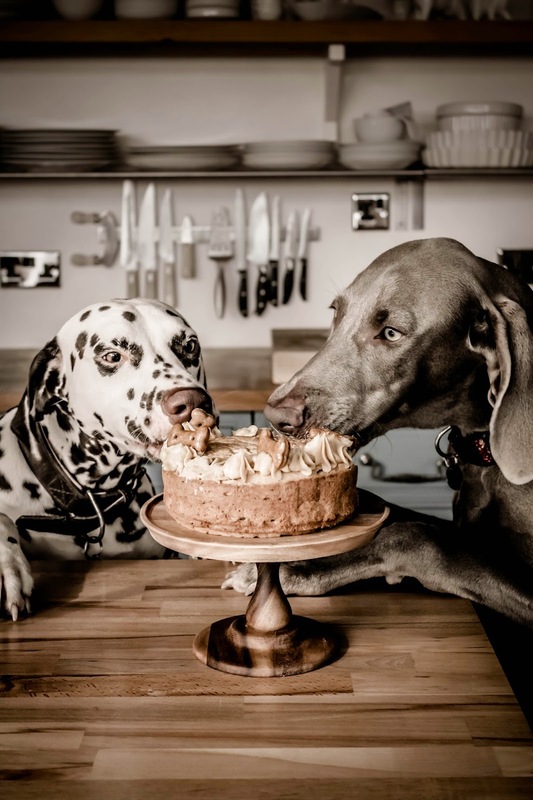 The photo of the dogs reminds me of the phrase "Let Them Eat Cake!" Great features, Kim, and thanks for hosting! that mirror is really wonderful, thanks so much for hosting, Kim! Thank you for hosting. I love the blue chair you featured, it's gorgeous! Have a wonderful day! Nice features! Thank you for the party. Such fun features! Thanks for hosting, Kim! Thanks for hosting such a wonderful get together with great inspiration. The dog cake won my vote. Thanks for Wow Us Wednesdays! Thanks so much for hosting, Kim! Happy Halloween week! I have missed your parties! Thanks for the great features and congrats on the new you! I have not been reading or writing in blogland for over a week and trying to get caught up is difficult. But thanks to you, I have one fun idea already. I am going to try to make the Farmer's Market bucket.